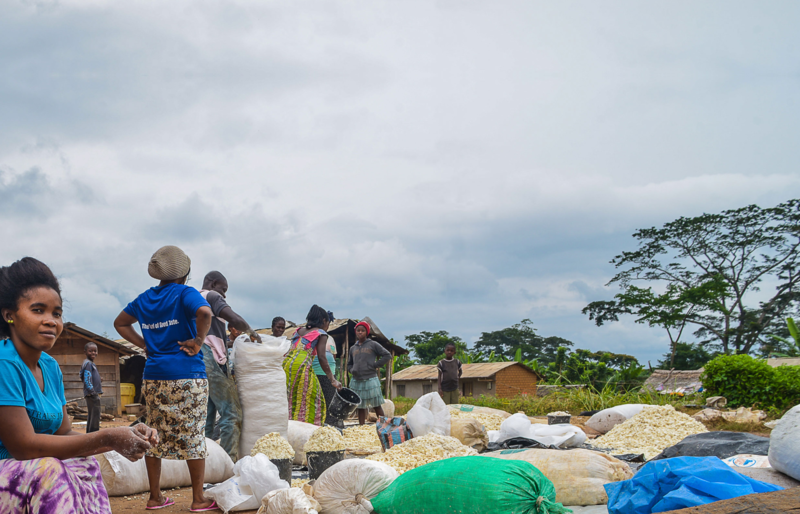 Women in the Ebaka village work together to process and sell the cassava crop they've grown, which will be transformed into couscous and manioc stick, Cameroon, July 2018 (Rodrigue Mbock/CAO). CAO's 2018 Annual Report features outcomes from our dispute resolution, compliance, advisory, and outreach activities this year. Keep reading to review a snapshot of CAO's 55 cases in 32 countries and explore highlights from our year working with communities, companies, IFC and MIGA staff, and other stakeholders for positive impact. As the World Bank Group works to increasingly leverage the resources of the private sector, the role of CAO is more important today than ever before. 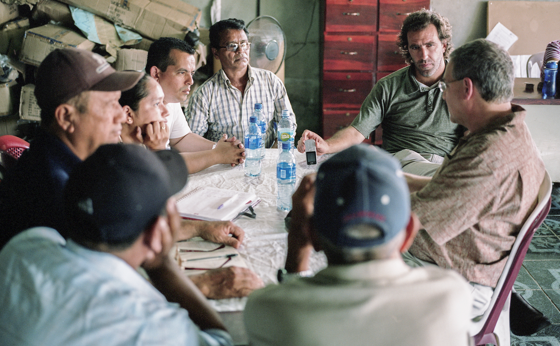 CAO plays a critical role in helping the Bank Group listen to the voices that we most need to hear, and with their participation, bring practical solutions to the communities we serve around the world. With casework spanning 32 countries, CAO has had a productive year. Our 2018 annual report speaks to our continued focus on delivering solutions, accountability, and learning across the CAO functions to improve IFC and MIGA project outcomes for local communities. This year, CAO handled 55 cases in 32 countries. More than half of these cases were in monitoring or closed by the end of the year. CAO accepted 14 new complaints, including its first from Myanmar. In dispute resolution, 76 percent of cases have reached full or partial settlement. This includes new agreements reached in Albania, Cambodia, and Cameroon, and previous settlements being monitored. CAO published 6 new compliance investigations related to mining, infrastructure and manufacturing projects, and issued new advice on supply chains. CAO also took steps to fortify its global network of mediators, engaged 300 organizations from 40 countries through outreach, and operationalized its approach to threats and reprisals to address complainant safety. Journey through highlights from CAO’s year below. 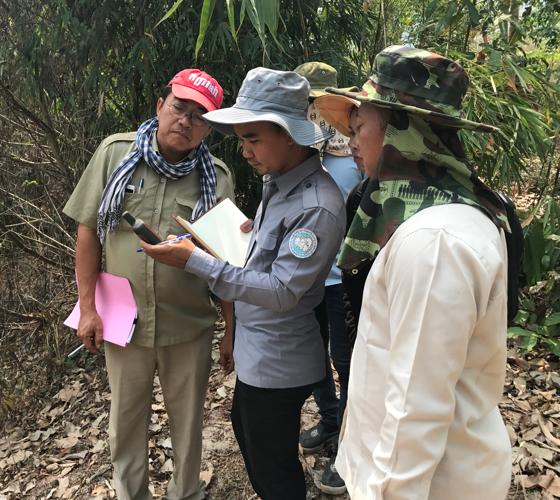 Progress was made in a CAO dialogue process in Cambodia to address a land dispute related to rubber plantations. The plantation operator, HAGL, agreed in dialogue with community members from 11 affected villages and civil society representatives to return spirit mountains and implement an earlier agreement to restore water sources and roadways. In the Kribi community, a new fuel pump has been installed as an outcome from the dialogue process. This will improve the fishing cooperative's access to fuel for their boats, and in turn, help sustain their livelihoods. Following settlement of complaints from three communities, CAO visited Cameroon to discuss next steps with the affected communities and project operator, an ExxonMobil subsidiary. CAO is monitoring implementation of agreements. 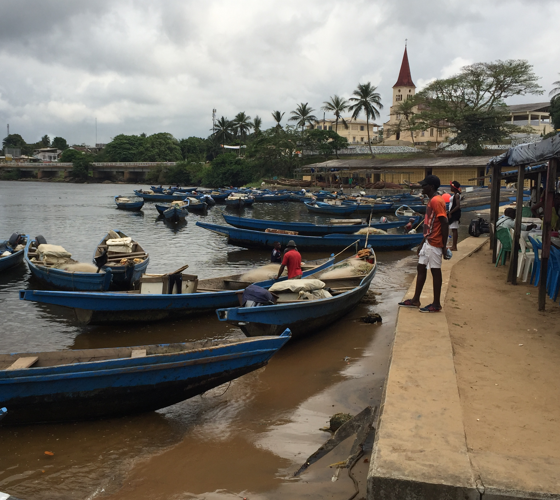 A new fuel pump has been installed that will benefit a fishing community in Kribi. CAO kicked off its Africa outreach initiative with a three-day workshop in Cote d'Ivoire, co-hosted with the African Development Bank's accountability mechanism. The workshop engaged private sector and civil society from 10 West African countries. CAO also conducted outreach in Ghana, Nigeria, Senegal, South Africa, and Tanzania during FY2018. 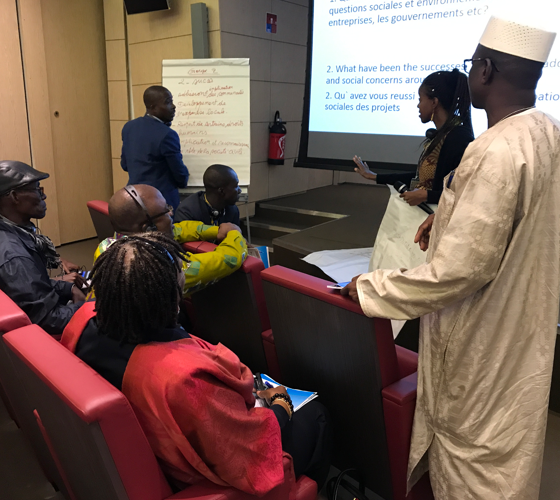 Participants complete a group exercise during a workshop in Abidjan, Cote d'Ivoire, which engaged 30 civil society representatives from 10 West African countries, August 2017 (CAO). 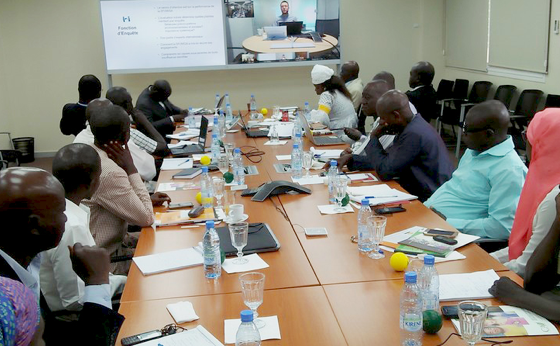 Civil society representatives connecting from the IFC office in Dakar, Senegal participate in an outreach video conference with CAO and Inspection Panel staff, March 2018 (Photo: Aly Sagne). CAO’s investigation responded to two complaints filed by communities living near the Amulsar gold mine in southern Armenia. 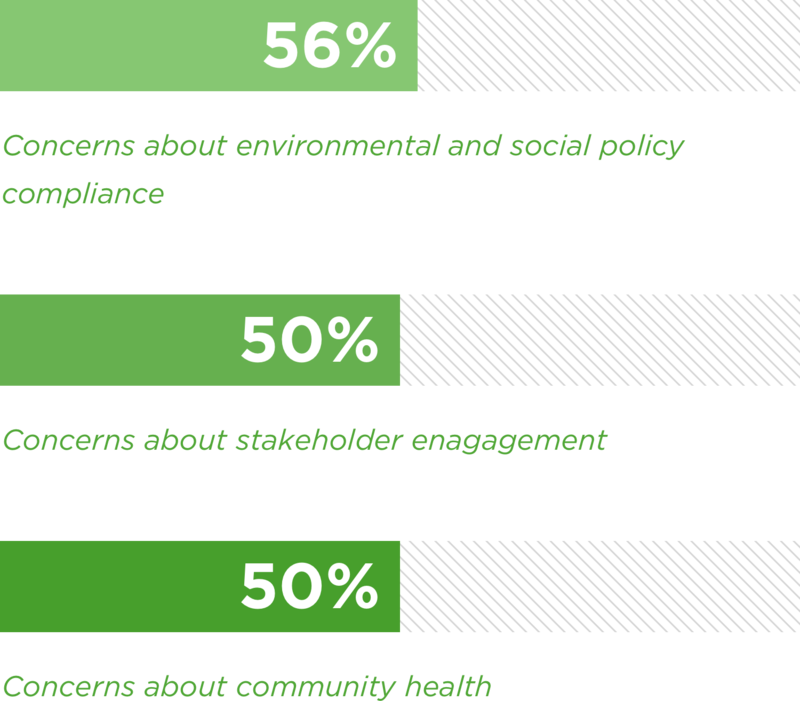 The investigation found shortcomings in IFC’s review of environmental and social risks associated with the mine’s exploration phase, and gaps in how project impacts on local tourism and communities were assessed. 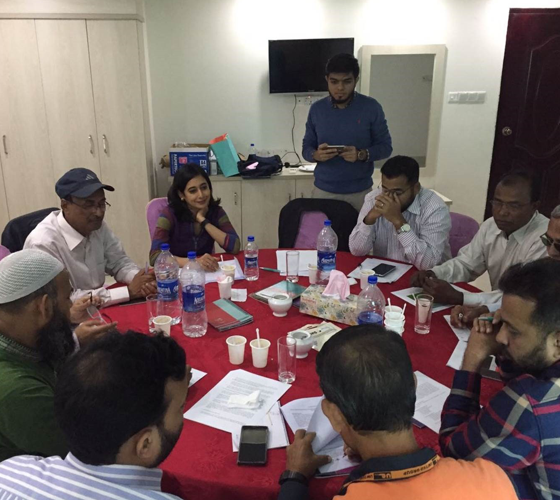 CAO facilitates a joint mediation session in Bangladesh between community and company representatives to discuss issues and potential solutions to address a complaint about a power plant. CAO concluded its mediation and monitoring work related to the IFC-supported United Ashuganj Energy Limited gas power plant in Bangladesh, after observing full implementation of agreements between the company and affected community members. The process addressed concerns regarding impacts of noise and pollution from the plant. 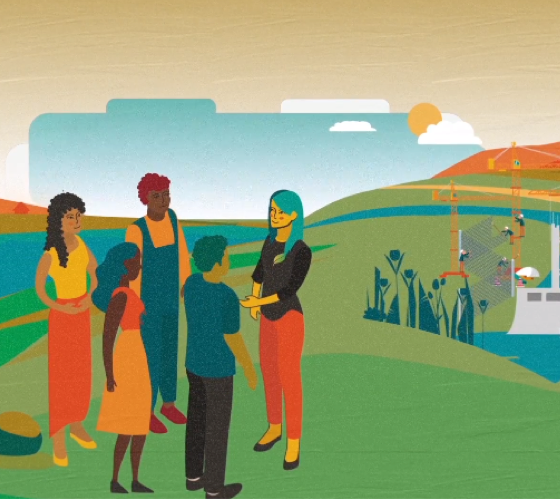 CAO released a short film, Building Hope and Health through Dialogue, documenting outcomes of a complex mediation process between a major sugar producer in Nicaragua supported by IFC and former workers suffering from chronic kidney disease. The film was shown during a CAO policy session during the World Bank Group Annual Meetings. 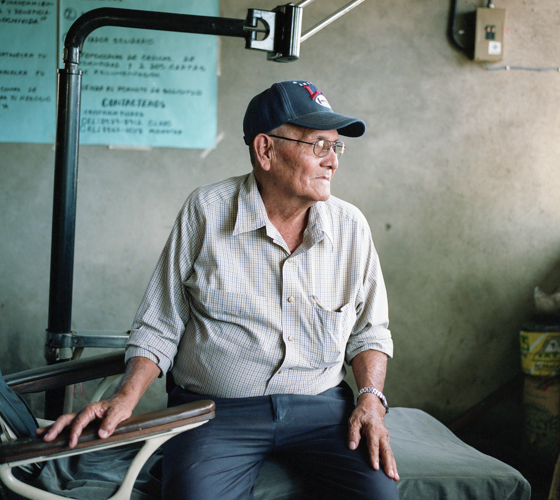 A former sugarcane cutter and board member of ASOCHIVIDA, a local organization of former workers suffering from chronic kidney disease in Chichigalpa, Nicaragua, February 2014 (Felix Davey/CAO). ASOCHIVIDA Board members meet with the CAO mediation team and the independent team of experts from Boston University School of Public Health, February 2014 (Felix Davey/CAO). CAO’s investigation responds to a complaint from indigenous communities impacted by the Santa Rita hydropower project in Guatemala, and addresses concerns that the project does not meet IFC’s requirements for Free, Prior, and Informed Consent, among other issues. The investigation found shortcomings in IFC’s review and supervision of the investment. 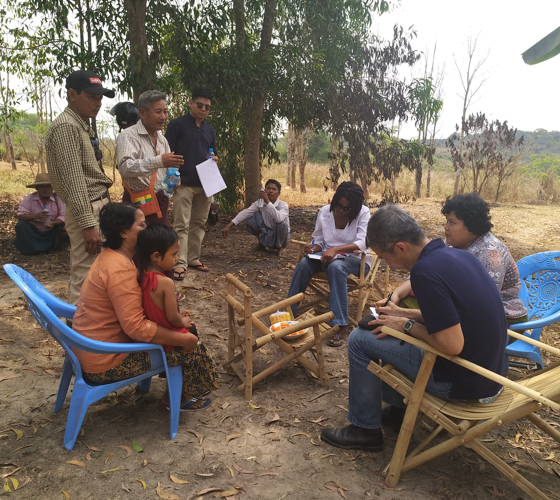 CAO's mediation team meets with community members during the assessment of a new complaint from Myanmar, March 2018 (CAO). CAO received a complaint from communities in Myanmar living near a new agrochemical plant operated by an IFC client. The complaint concerns project impacts on local water sources, and community consultation and information disclosure regarding the project. During CAO’s assessment, the parties agreed to engage in dispute resolution, which is now underway. 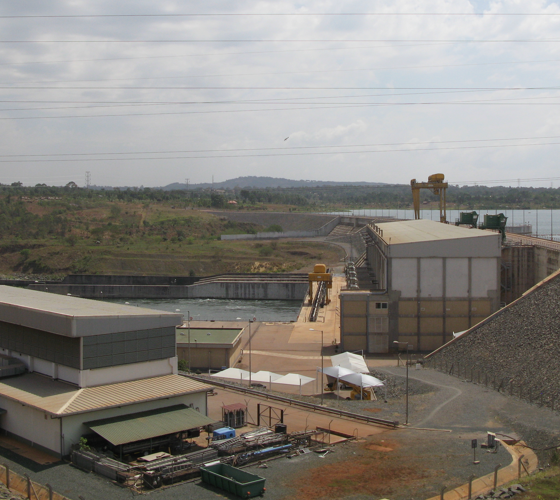 CAO released two investigations regarding the Bujagali hydropower project in Uganda, which is supported by IFC and MIGA. The investigations, released by CAO in December 2017 and January 2018, address labor and land complaints arising from construction of the project and transmission line. IFC has committed to undertake remedial steps to address shortcomings identified in the CAO reports. CAO visits the Bujagali hydropower project in Uganda as part of investigation activities, January 2017 (CAO). While IFC projects account for the majority of CAO’s caseload, CAO is addressing complaints related to the Bujagali hydropower project in Uganda and Oyu Tolgoi mine in Mongolia, both joint IFC/MIGA projects. 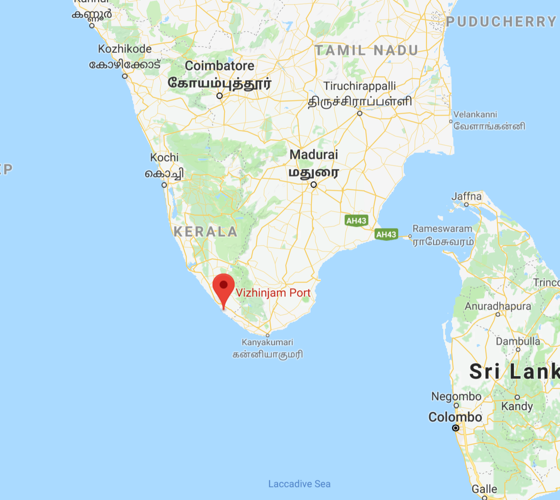 CAO’s investigation considers issues raised in three complaints from tourism businesses and residents living near the Vizhinjam multi-purpose seaport in Kerala, India. IFC provided Advisory Services to support development of the project. 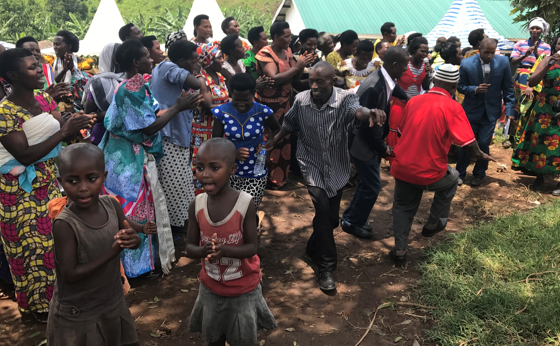 CAO concluded a dispute resolution process in Uganda after monitoring implementation of agreements reached between the New Forests Company and the Mubende affected community after they were displaced from forestry reserves. With support from the company, the community has resettled on land they own, and are cultivating crops and initiating small development projects. 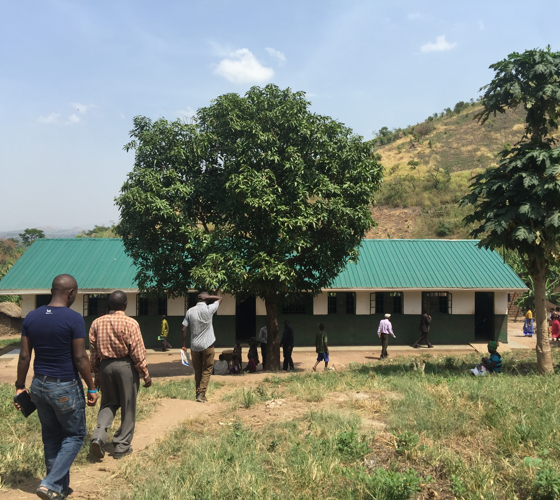 The company also supported a new school house and community clinic, among other outcomes. 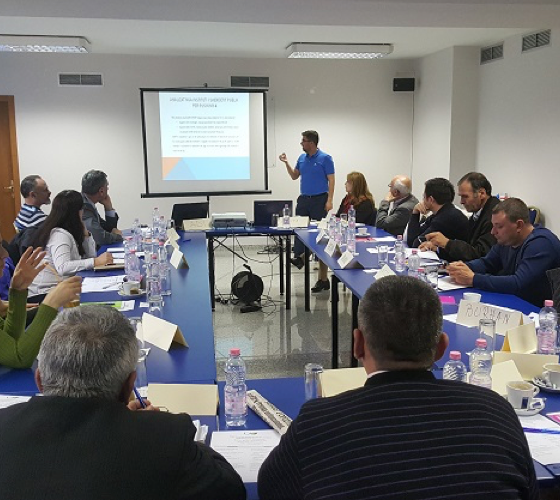 In Albania, local communities and Bankers Petroleum, a former IFC client, reached agreement through a CAO mediation process to address a complaint about the impacts of an oilfield. CAO is monitoring implementation of agreements to address concerns about community health and safety, contamination of irrigation networks, and seismic tremors. A company representative presents during a community-company roundtable meeting, May 2016 (CAO). During CAO's assessment, many stakeholders offered ideas for addressing labor concerns and improving the overall cotton sector in Uzbekistan. (Photo: World Bank/Yosef Hadar). A complaint to CAO was filed in 2016 on behalf of Uzbek human rights monitors and alleged victims of forced labor in the cotton sector. 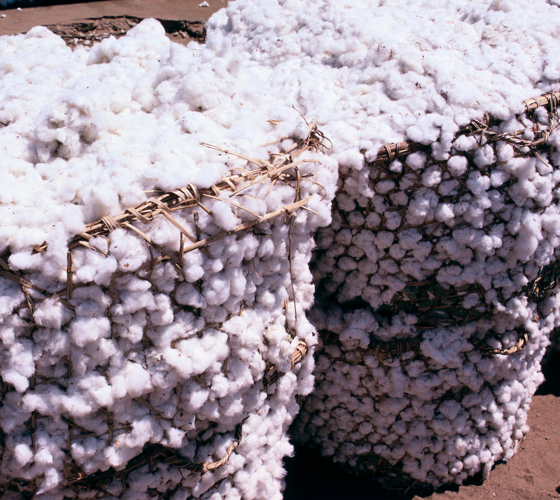 The complaint concerns the supply chain of a cotton manufacturer and commercial bank supported by IFC. Following an extended assessment phase, the parties agreed to address the complaint through a CAO dialogue process, which is now underway. 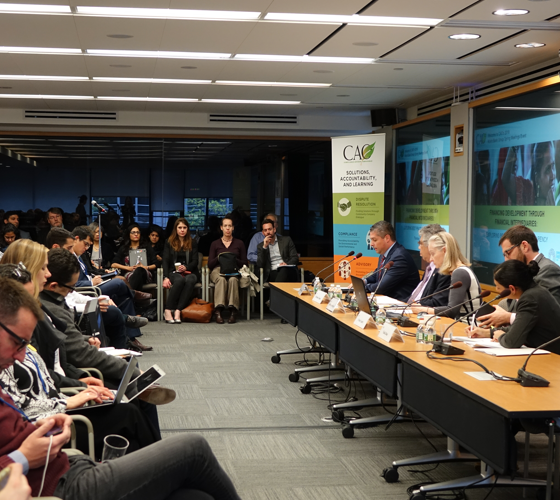 CAO hosted a policy discussion on transparency and accountability in the banking sector with representatives from IFC, Citibank, and Oxfam International to discuss emerging good practice in financial sector transparency. CAO also participated in two separate workshops in FY18 related to environmental and social risk management convened by the Chinese Banking Association and Dutch Banking Association. CAO continues to monitor IFC actions to address findings from its audit of IFC investments in global financial intermediaries (FIs). CAO launched its Approach to Responding to Concerns of Threats and Incidents of Reprisals in CAO Operations during the World Bank Group Spring Meetings. 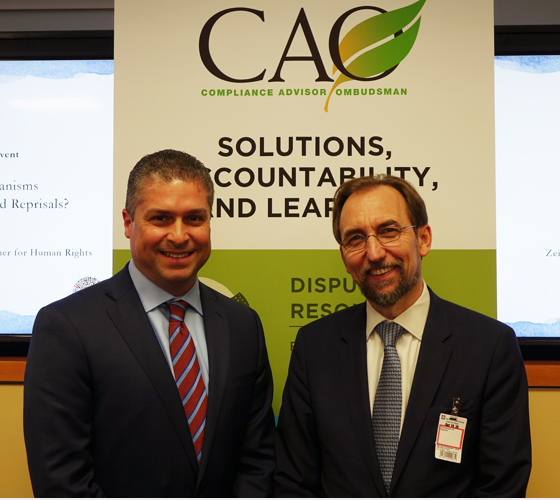 For the launch, CAO hosted a closed multi-stakeholder roundtable on the topic of reprisals with guest of honor Zeid Ra-ad Al Hussein, United Nations High Commissioner for Human Rights. 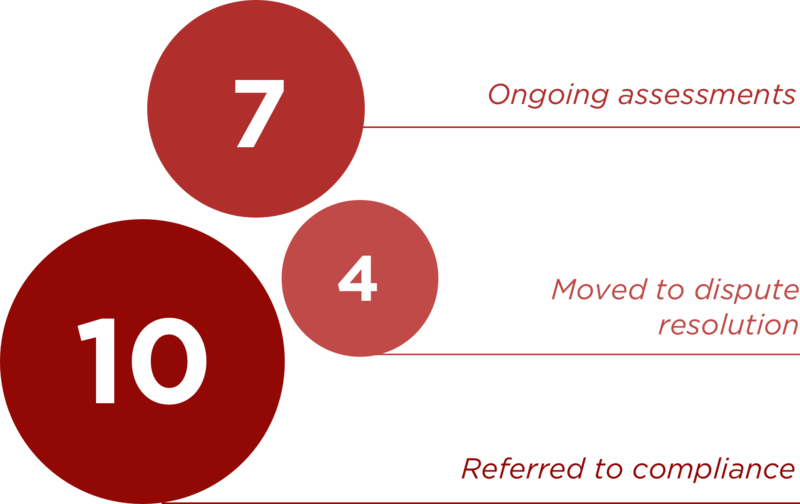 CAO’s Approach was developed in response to concerns voiced by human rights groups regarding complainant safety, and to address operational challenges in CAO cases. CAO completed 10 compliance appraisals in FY18. 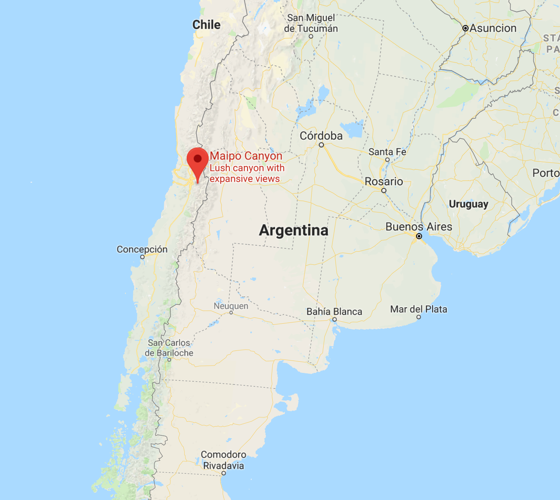 CAO concluded a compliance appraisal of two complaints regarding IFC’s investment in the Alto Maipo hydropower project in the Maipo River basin near Santiago, Chile. The appraisal determined that the case merited an investigation, which is ongoing. 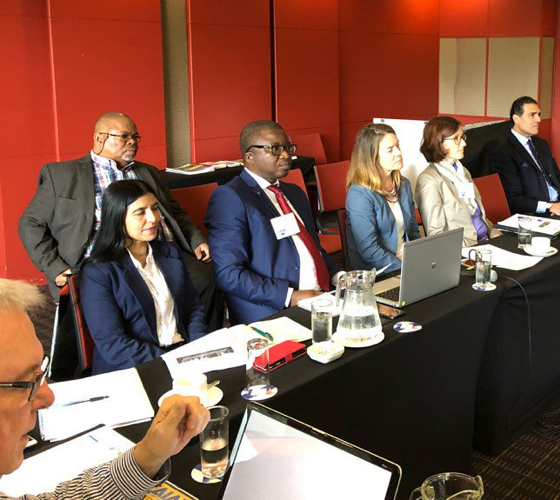 Participants at the joint outreach event CAO co-hosted in Durban, South Africa, May 2018 (CAO). CAO partnered with other IFI accountability mechanisms to host a plenary session on accountability in international development finance, participated in technical sessions on mediation and participatory impact assessments, and organized an outreach event for South African civil society. 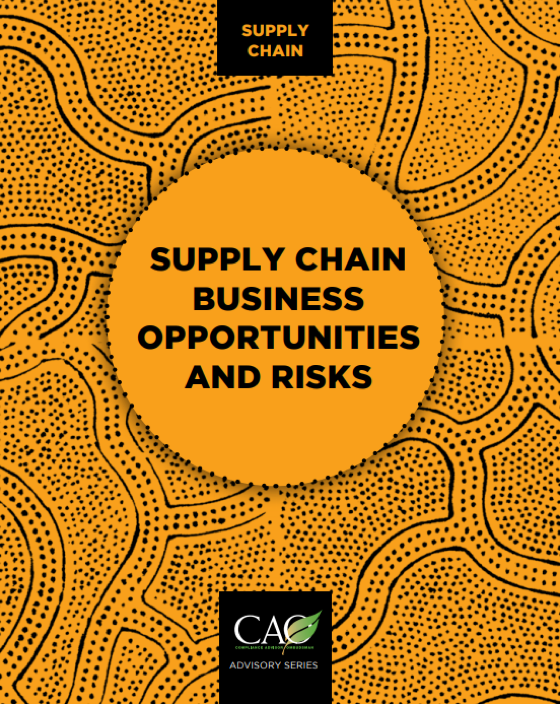 CAO released a new series of advisory memos on supply chain business opportunities and risks. CAO developed the series based on insights from CAO cases, and inputs from external experts and IFC staff. The series comprises three memos with recommendations for IFC and MIGA focused on supply chain risk analysis, policies and performance standards related to supply chains, and voluntary standards and certification. CAO produced a two-minute animated video to explain who CAO is and how it works. The video is available in English, French, and Spanish. CAO’s Mediator Summit brought together 27 mediators from 19 countries working on CAO dispute resolution cases to explore issues, challenges, and best practices. The Summit was held in Kenya and included staff from CAO’s Washington-based Dispute Resolution team. 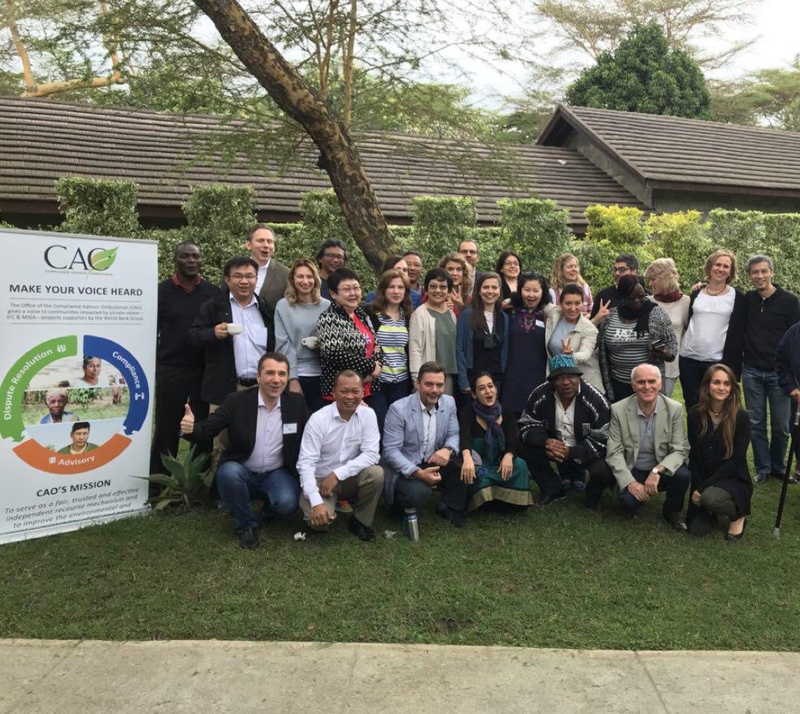 Participants at CAO's second global Mediator Summit which was convened as part of efforts to continually improve CAO's dispute resolution work, Kenya, June 2018 (CAO). At the end of the fiscal year, 57 percent of cases were in monitoring or closed following dispute resolution or compliance processes. CAO carried 48 cases into Fiscal Year 2019. CAO’s investigation responds to a complaint from indigenous communities impacted by the Santa Rita hydropower project in Guatemala, and addresses concerns that the project does not meet IFC’s requirements for [Free, Prior, and Informed Consent, among other issues]. The investigation found shortcomings in IFC’s review and supervision of the investment.